Welcome! Please use the link to begin creating your user profile. 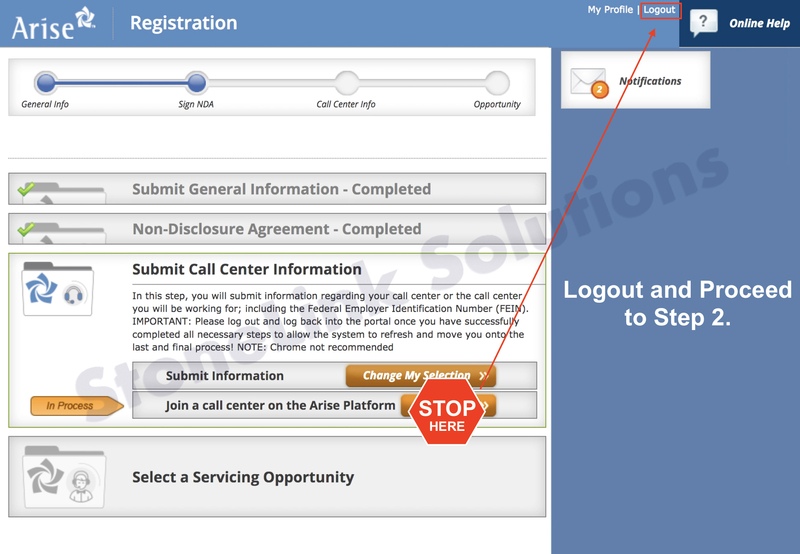 If you have already created a user profile, CLICK HERE to proceed to Part 2. DO NOT create a second profile. Duplicating profiles is prohibited. 1. 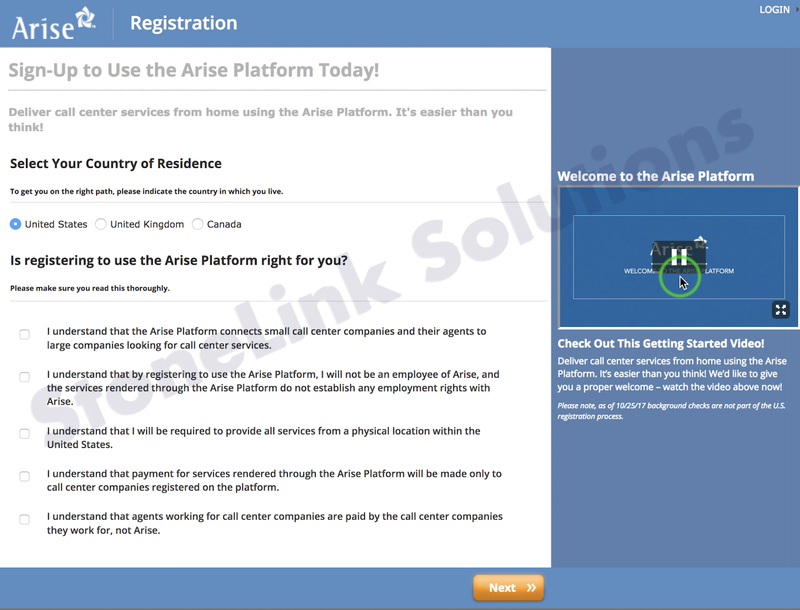 Create A User Profile – Click Here Read and accept terms. To proceed click Next. 2. Complete General Information section. To proceed click Next. 3. 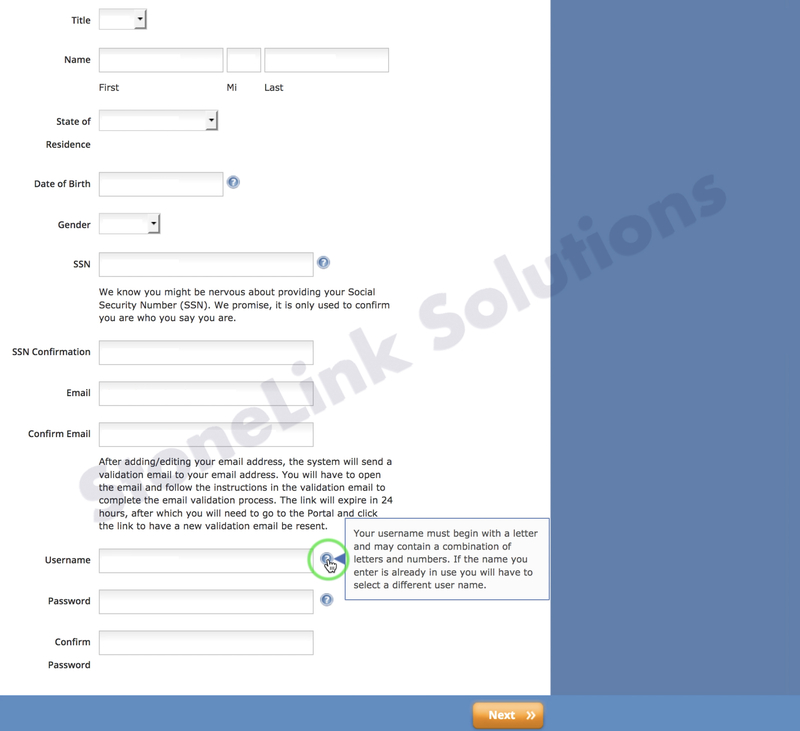 Complete the Contact Information section. 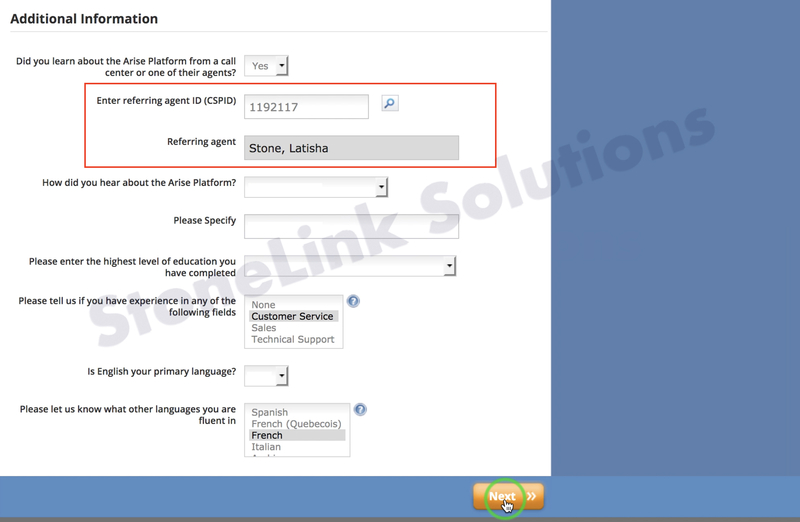 Be sure to enter the referring agent ID (CSPID) – 1192117, the referring agent (Latisha Stone) will populate. Complete section and to proceed click Next. 5. 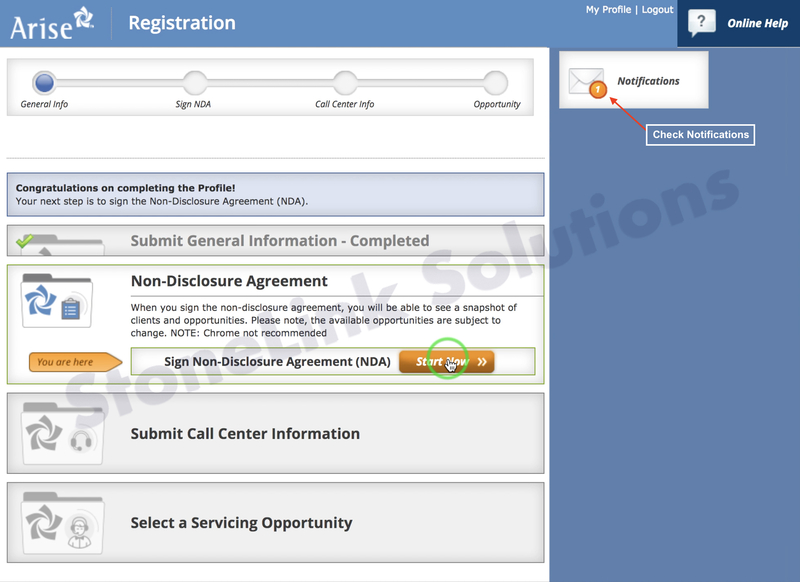 Click Start Now to sign the Non-Disclosure Agreement (NDA). 6. 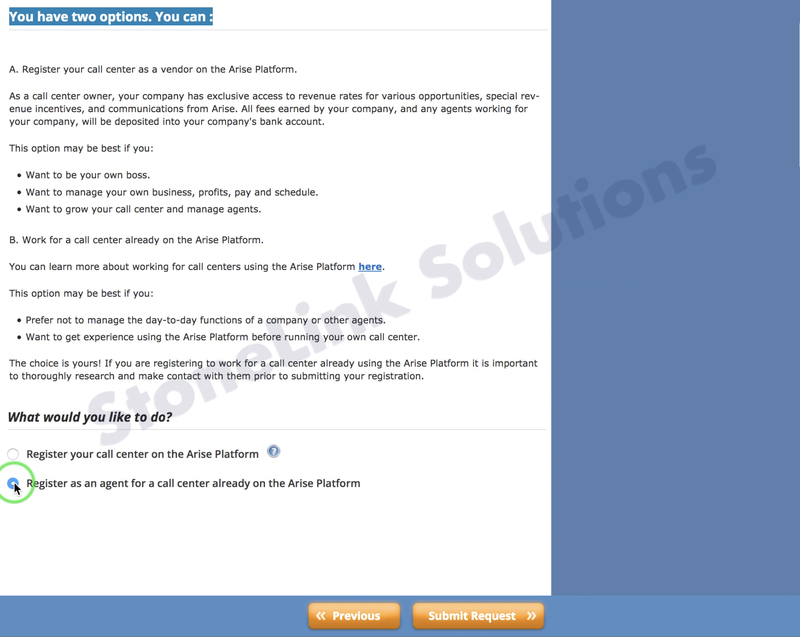 Click Start Now to Submit Call Center Information. 7. 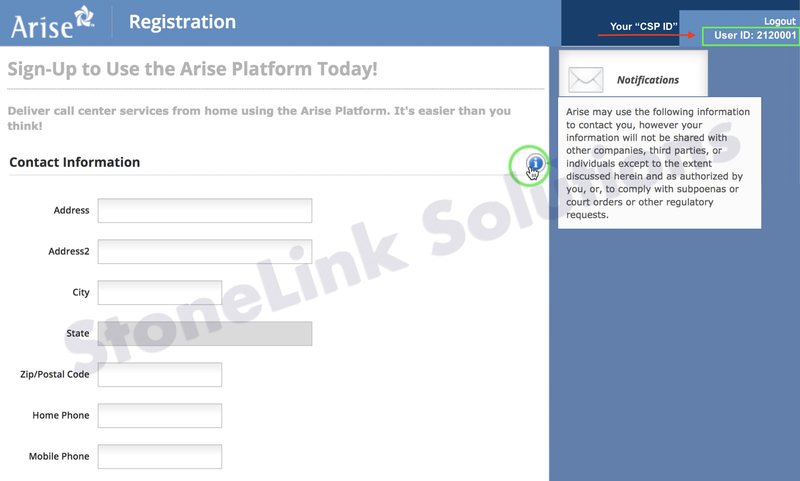 To service as a CSP under StoneLink Solutions you must select the option to “Register as an agent for a call center already on the Arise Platform”. To proceed click Submit Request. 8. 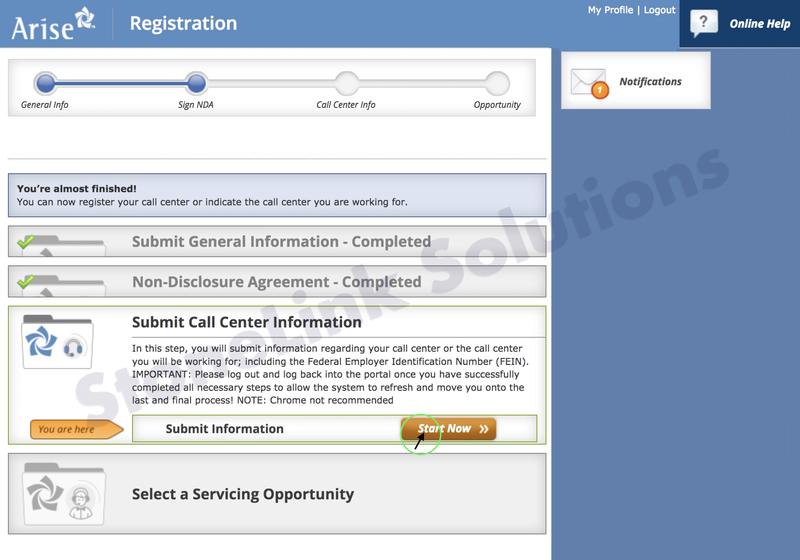 Enter Call Center information. Enter FEIN – 820776277, then search. 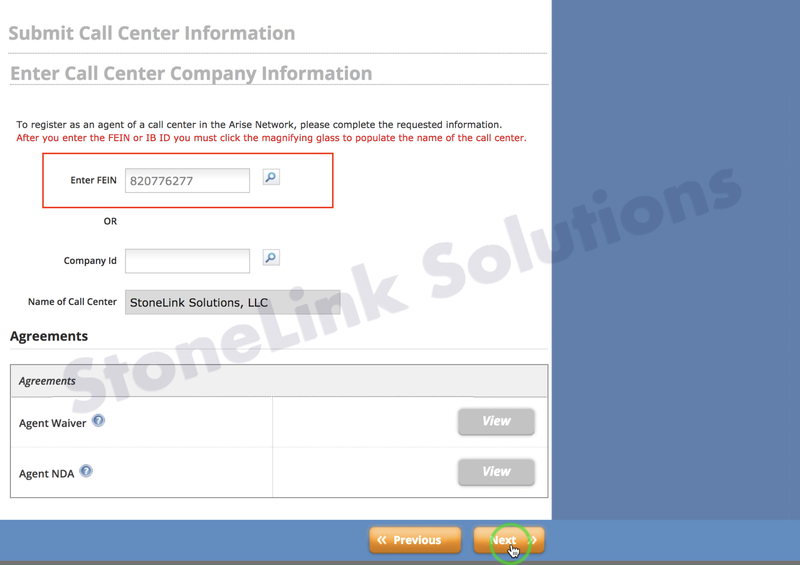 StoneLink Solutions call center should auto-populate, once confirmed click Next to proceed. 9. Your submission should now show “In Process“. STOP HERE! Then proceed to Logout. Complete General Information and Contact Information section. NEED HELP? Please use the easy to follow step-by-step guide with images to ensure you are setting up your profile correctly. error: © 2017 StoneLink Solutions | All Rights Reserved. Content is protected! !